Mallemaala Entertainments, has been into film making for over a period of 25 years now. Not limiting themselves to films, Mallemaala ventured into television, and have launched several successful TV shows such as Genes, Dhee, Adhurs, Cash and the highly successful Jabardasth. Now, Mallemaala has gone a step ahead, and for the first time ever, an exclusive comedy show with premium content, has been designed only for online viewers. 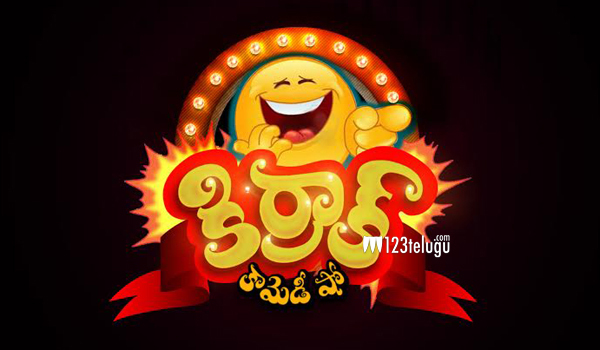 Some well known actors from TV and film world will feature in this special show called ‘Kiraak Comedy Show’. This show will be the first of many exclusive series that will be made for the web, and you can watch this show on our Mallemaalatv channel on You Tube. A one of a kind stress buster, Kiraak comedy show will be hosted by the beautiful Anasuya, and the highly energetic Ravi. The much awaited ‘Kiraak Comedy Show’ has been launched today, on August 15. The first skit of this comedy series has been made live on Youtube. This first skit titled ‘Mandhu Choopu Kadhu Mundhu Choopu’, features comedian Chalaki Chanti and his team. In this skit, he plays the role of an eye doctor while his team visits him as patients. The funny scenes between the doctor and patients are showcased excellently.